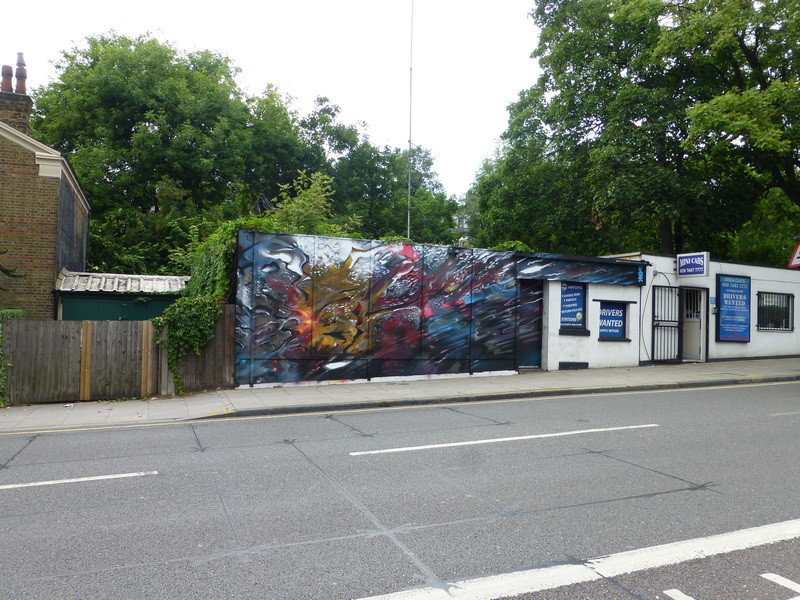 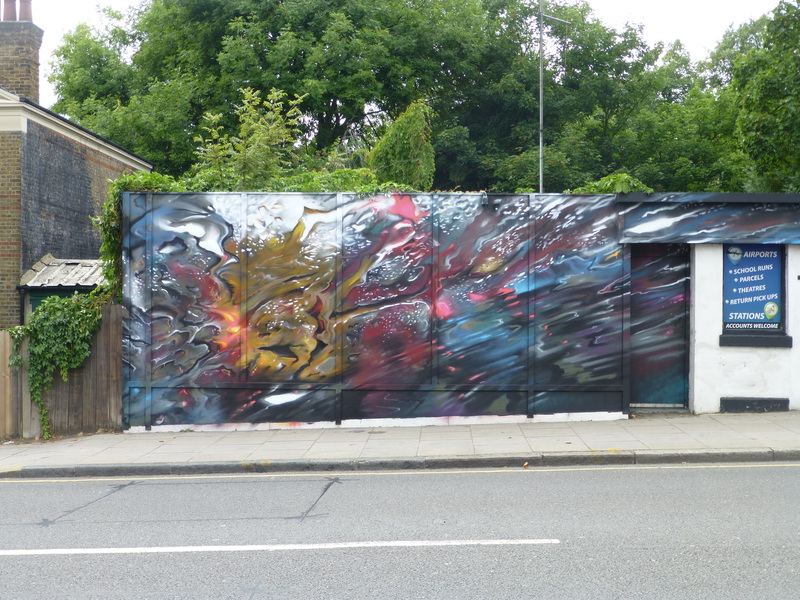 On Saturday Dan Kitchener was at work in Tufnell Park, Islington, on his latest work entitled ‘Hyperspeed’, replacing a work Dank placed up in the same spot some four months ago (covered here). 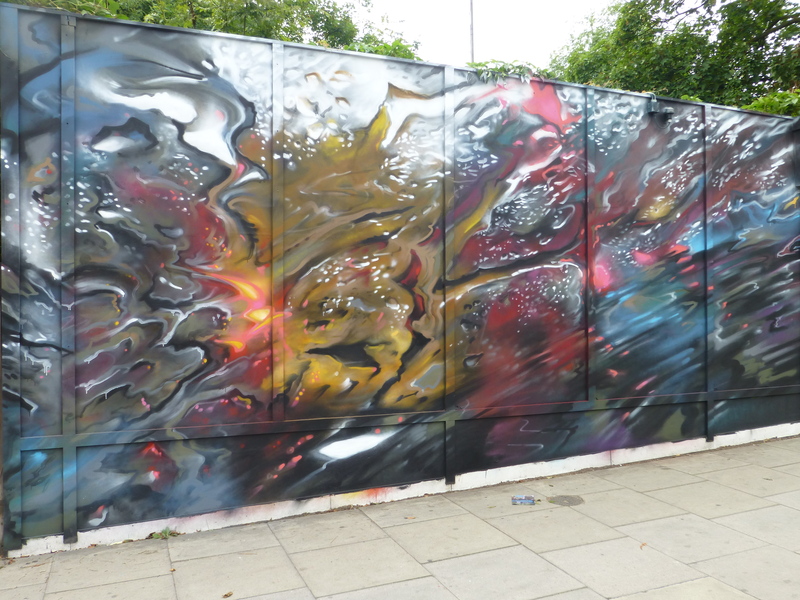 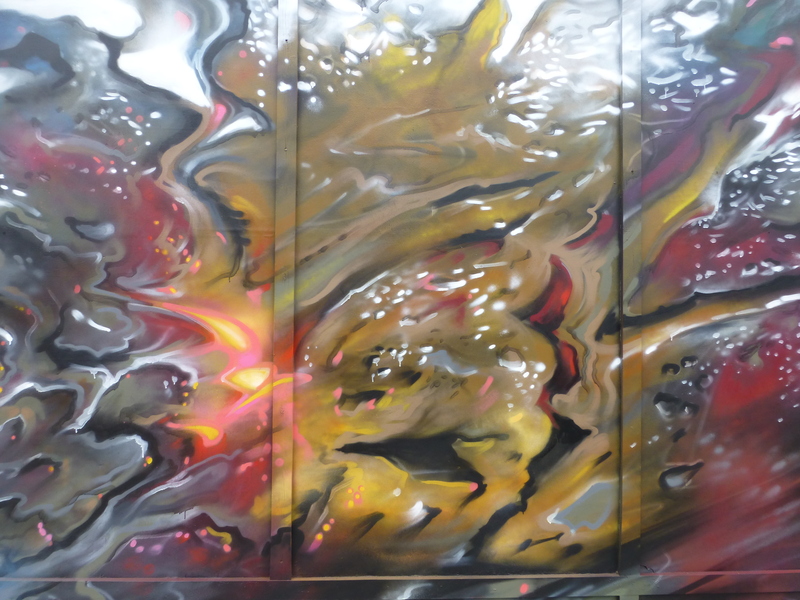 The piece which can be found along Junction Road is superb and most interesting for featuring a new twist on Dank’s formiddable ‘Liquid Lights’ style by offering up on this occasion a daytime depiction. 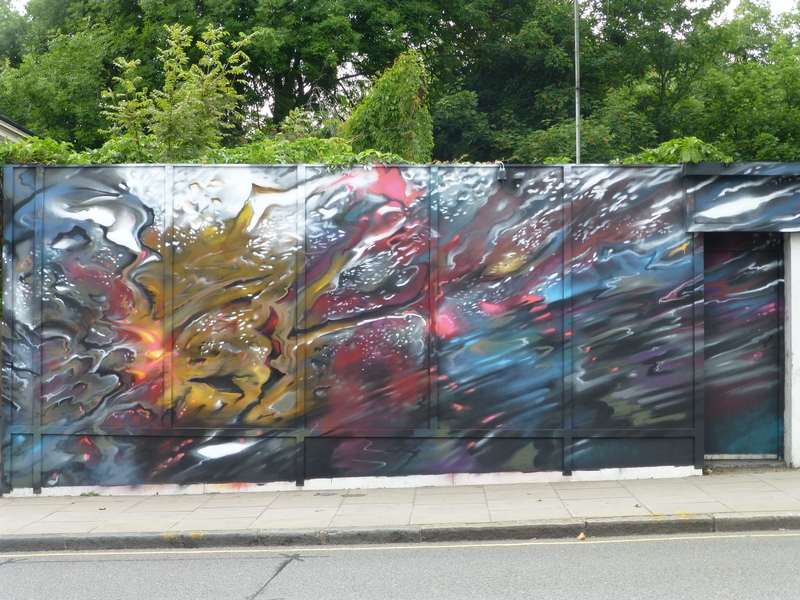 The work is certainly intricate and as always with his works, absorbing, a real pleasure to see and interesting to see a glimpse of the new directions this Street Artist may travel yet.